Charlie Crist, who did more than any other governor to help former felons regain their voting rights, on Tuesday called on state leaders to follow the will of Florida voters on restoring automatic voter registration for more than 1 million ex felons who completed their sentences. "This is about forgiveness and second chances for all of us," Crist said of the constitutional Amendment 4, which passed with nearly 65 percent of the vote in November and goes into effect today. Starting today, felons who have completed their sentences – other than those convicted of murder and sexual offenses – can register to vote. Florida used to be one of the few states that required an onerous application process, but supporters of the change worry state leaders still could put roadblocks in the way of automatic restoration of voting rights. 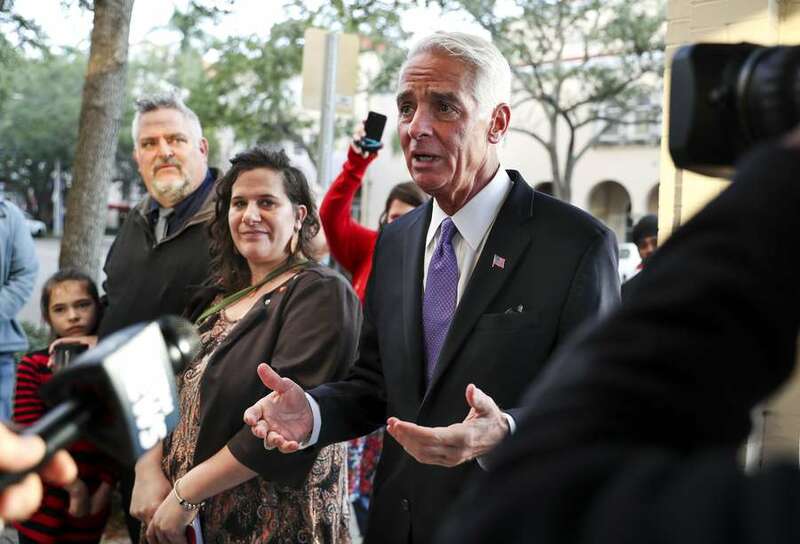 "It is our job as elected officials to listen to the will of the people, not to subvert it," Crist said at a news conference on the steps of St. Petersburg City Hall. " Let me be clear: With the passage of this constitutional amendment, nothing – not any Florida statute or executive action, nothing — should keep convicted former felons who have paid their debt to society from legally registering to vote." Crist restored the voting rights of about 155,000 Floridians during his four years as governor – about 40 times more than outgoing Gov. Rick Scott did over eight years. After the news conference, a handful of ex-felons walked across the street to register to to vote. "It's huge," said Melanie Paine, 32, who lost her voting rights after a non-violent drug conviction when she was an college undergraduate. "I'm very involved in politics and want to be able to have a say." Greg Foster, still a few weeks away from completing probation for burglary and DUI convictions, said the restoration means more than only casting a vote. "I went through my life trying to move forward but always felt there was something still holding me back – that I wasn't viewed the same as everybody else," said Foster, 28. a construction worker who plans to register as a Republican. "I saw myself as somebody that was less than, somebody that because of those poor decisions couldn't have the life that once I could have had." 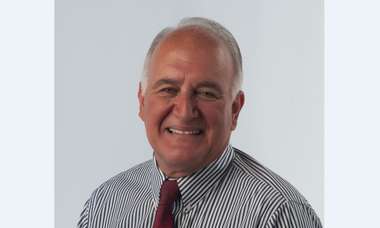 Rich Alvarez, workforce director for the non-profit Pinellas County Ex-Offender Re-Entry Coalition, has a felony conviction for wire fraud. He could when he lived in Ohio, but not when he moved to Florida. His restitution requirement has been converted to a civil lien, so he is still uncertain about whether he has completed his sentence and did not register Tuesday for fear he could be accused of falsifying a registration form. "I'm in limbo," he said. St. Petersburg Mayor Rick Kriseman spoke at the news conference, and warned that the overwhelming vote in favor of Amendment 4 does not end the story. "This fight continues," Kriseman said. "The voters made the right decision on Amendment 4, and it is time our state leaders and our state legislature accept the will of the voters without fighting or trying to prevent implementation." It is our job as elected officials to listen to the will of the people, not to subvert it. Let me be clear: With the passage of this constitutional amendment, nothing – not any Florida statute or executive action, nothing — should keep convicted former felons who have paid their debt to society from legally registering to vote.